How Does a Cat-Back Work on My Silverado? Is an Aftermarket Silverado Cat-Back System Worth It? Aftermarket cat-back exhaust systems are one of the most cherished upgrades Silverado owners add to their modification wishlist. Wheather you are looking to assert your Silverados authority when you put the pedal to the medal or to simply fine tune the tone of daily commutes there are options to reach the personalized settings you want to achieve. Coupled with the additional benefits that include increased fuel economy and enhanced performance, it is easy to see why a cat-back exhaust is such an attractive upgrade. You may have been surprised when you realized your new Silverado 1500 was a lot quieter than previous generations. If you want cars a thousand yards ahead of you to hear a Silverado is fast approaching, then a cat-back exhaust system can provide you with that ear-splitting roar you’re looking for. With improved torque and fuel economy, a new cat-back exhaust system is not merely a decorative feature, but an investment into improving the performance of your truck. That’s right, you can make your new Silverado 1500 handle smoother. Each time you watch the needles on your instrument panel climb and hear the thunderous applause resonating from your cat-back exhaust system, you’ll understand why. 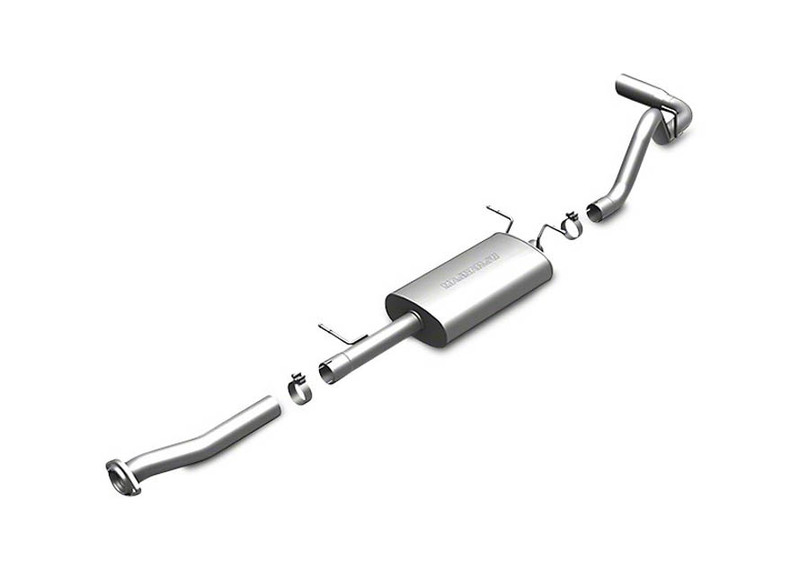 A cat-back exhaust system extends from the catalytic converter to the exhaust tips. Cat-back exhaust systems have pipes with a larger diameter than stock pipes allowing for a freer flow of air. This creates better air circulation throughout your engine, which reduces the workload on your engine and improves the performance of your vehicle. 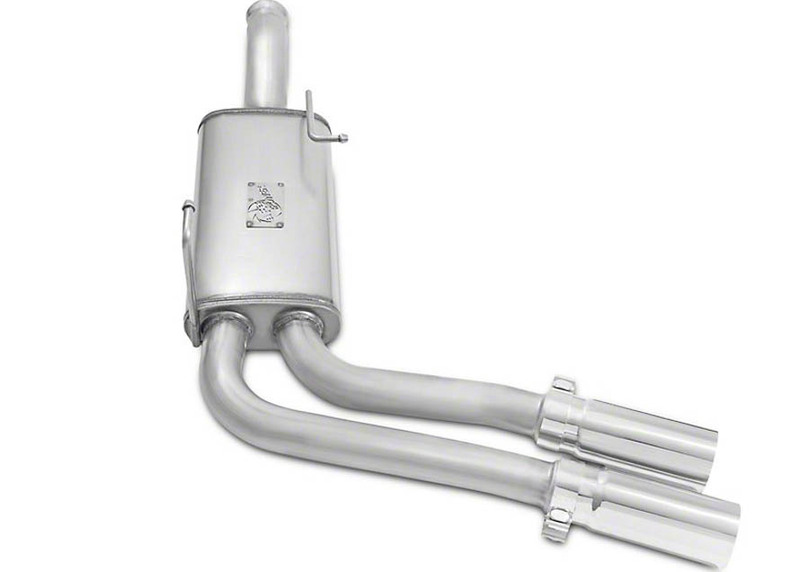 Aftermarket cat-back exhaust systems produce louder noise by eliminating the resonator. Best of all, cat-back exhaust systems are made of durable, high quality materials, including aluminum, T-409 stainless steel, or even T-304 stainless steel exhaust tubing. In some cases, installing a new cat-back exhaust system could gain your Silverado up to 2 miles per gallon. You're at least guaranteed to save ½ mile per gallon with a new exhaust system. Installing an aftermarket cat-back also produces lower emissions than factory models while delivering more power and resonant noise. single exhaust with side exit. Cat-back exhaust systems are composed of exhaust tips, mid-pipes, tail pipes, and mufflers. With a larger diameter and aerodynamic bends, cat-back exhaust systems reduce back pressure and allow gases to flow through the exhaust mostly unrestricted. This reduces workload placed on the engine and improves horsepower and fuel economy as a result. Aluminum cat-back systems are generally cheaper, but less durable. Aluminized steel does form a high-quality layer of protection for your pipes, but come with the risk of corrosion if the outer layer becomes chipped from debris. Stainless steel pipes traditionally last longer and deliver the best performance. Fortunately, there are manufacturers who produce single side exits, middle side exits, and all other styles for each Silverado make and model. The selection is nearly endless and it all comes down to personal preference. Both single and split-side exit systems provide high quality performance, but a single-exit system will have less restriction, while a split system will cut out excessive rumbling at high speeds. It's important to know which pipe diameter fits your Silverado’s engine and make. Too large of a diameter could mean a significant loss in back pressure. Gases will escape your exhaust too slowly, limiting the benefits of the cat-back exhaust system. Of course, the rule of thumb remains the larger the diameter the better the performance. Most manufacturer cat-back exhaust systems are designed for specific engines and are labeled as such. Check with an aftermarket manufacturer or a mechanic for more information. An aftermarket cat-back exhaust system not only provides a more aggressive look and sound for your Silverado, but it also increases the value of your Chevy truck. While a single-install muffler is cheaper, installation can be cumbersome as some mufflers require you to cut through pipe to weld the piece on. Cat-back exhaust systems also provide better performance in terms of torque and fuel economy, making them a better investment in the long-run. A high-quality cat-back exhaust system won't run you more than $1500, while saving you hundreds of dollars in fuel, repairs, and increased longevity of engine parts. While your factory-made cat-back exhaust system will give you the performance you need, an aftermarket cat-back exhaust system takes things to the next level with improved horsepower and brutish sound. Purchasing a stainless cat-back exhaust system means you will never have to worry about replacing your exhaust system again or failing an emissions inspection. Choosing a high-quality, stainless steel system means most of your undercarriage will be protected from debris during off-roading. Best of all, an aftermarket cat-back system could pay for itself in a couple of years. You’ll be replacing parts at a reduced frequency than if you kept your factory exhaust system on there. 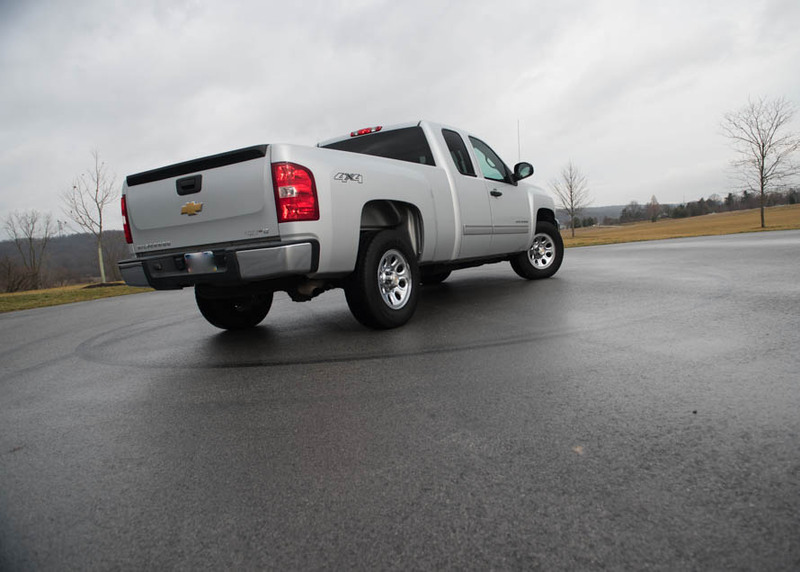 Choose from any cat-back exit-system for any model Silverado. With improved drive train and transmission, cat-back exhaust systems for newer generation models differ from 2007-2013 Silverados. 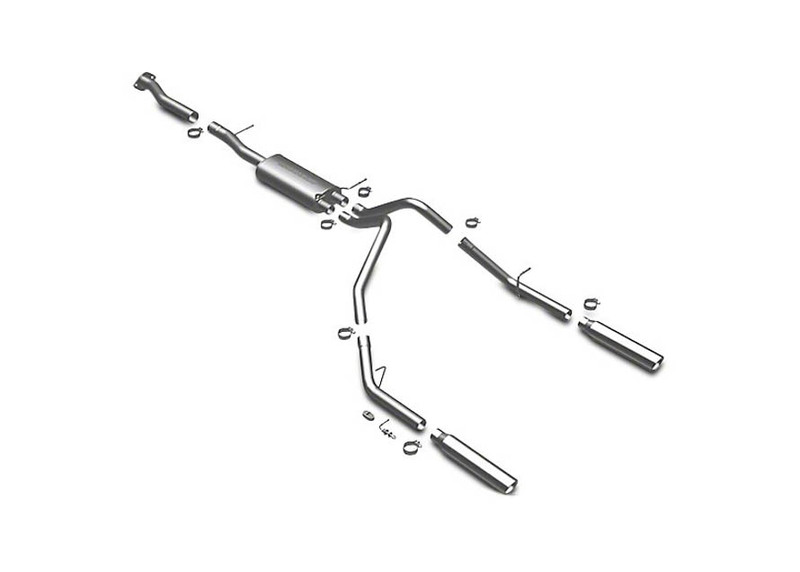 Factory exhaust systems on a 2014-2017 Silverado are much quieter than older models, which is why owners often choose wide-diameter, single-exit cat-backs. Mainly, ensure your cat-back exhaust system is compatible with your engine. Finally, you need to choose where you want your tail pipes to exit. There’s plenty of options, although the cat-back exit you choose will impact the size of the muffler required. Side-split systems typically dump on both ends of the tailgate, although there are side-exit systems that can dump before or after the rear tie. Ultimately, it comes down to what you want people behind you to see, hear, and feel when you increase the rpms.